No matter how well you try to take care of your hair with shampoos, conditioners, and oils, you still have to deal with issues like frizzy dry hair, dull limp hair, hair fall, hair breakage etc. Now, Kaya has come up with a solution that can keep you free of worries about your crowning glory. Pollution, heat, dust, dietary habits, chemicals in hair care products etc., affect your hair and you're constantly plagued by many hair health issues. Parabens, sulfates and other chemicals are added to cosmetics for various reasons. Sulfates make cleaning easier, parabens preserve the product and prolong its shelf life. However, these chemicals have side effects like drying out your hair, causing irritation, itching and other issues. You have to be careful in choosing the products you use on your skin or hair. Kaya products are all designed by dermatologists and clinically tested to verify their effectiveness in treating the issues they were formulated to target. Now Kaya offers a Paraben-free range of products for hair care, the Root Regen range. Enriched with superfoods, they are very effective hair fall treatment products. Kaya provides a comprehensive set of hair care products for each step of your hair care routine. Start with overnight application of the nourishing scalp oil, shampoo the next day to wash it off, apply a masque that conditions the hair, and a serum that coats and nourishes your hair. All these products by Kaya have been clinically tested for effectiveness. They are all enriched with superfoods like avocado, macadamia nut, coconut oil, olive oil, basil, sugarcane, apple and lemon extracts. The superfoods add benefits to skin and hair care products. 1. The Oil: This nourishing oil is meant to strengthen your scalp and hair root and promote the growth of healthy hair. Non-greasy and lightweight, this oil should be applied and left on for a few hours, so overnight use is appropriate. This oil contains botanicals like basil, avocado, macadamia and olive oil to nourish and strengthen your hair. Leaving it on overnight will help your head and hair to better absorb the nutrients present in it. This is not an overnight miracle product, you should use it regularly for 90 days to get the best results. Still, you may begin to feel the effects sooner. Hair breakage will reduce, and your hair will feel strong and silky, well within a few weeks. 2. The Shampoo: This shampoo also has a similar composition as the oil. It acts as a gentle exfoliant while cleaning your head and hair of oil and dirt. This removes dead cells and encourages new growth of cells and hair, so it provides a revitalising effect. 3. The Masque: A very good conditioner and nourisher, this masque is of a creamy consistency. Again, superfoods like basil, lemon, apple, avocado and sugarcane extracts enrich the nutrient delivering capability of this product. Use it after washing your hair. 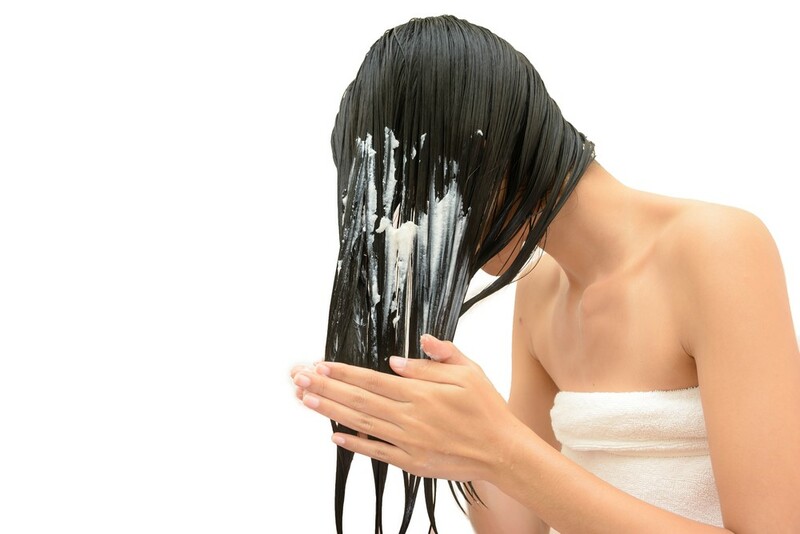 Take just a little amount of the cream from the tub and start working it onto your hair from the ends upwards to the head. It makes your hair smooth and silky and easily manageable. 4. The Serum: A very lightweight serum that gets absorbed by your scalp and hair immediately. It is enriched with ingredients like lemon, apple, basil, and sugarcane extracts. This serum has a bi-phase formulation, composed of essential oils and nutritive water. Shake the bottle well before using. The serum coats your hairs in a shield that protects it against damaging external factors like dust and pollution. The serum also restructures your hair to make it strong from the roots. Use these four hair fall treatment products consistently in the correct order. Confused about which to use next? The bottles and tub are all marked with four small circles. For each product, the appropriate circle is filled in and marked with the step number. For instance, the masque tub has the third circle filled in and displays the number 3. The Oil bottle has the first circle filled in and shows the number 1. Regular use of these hair care products rids your hair of breakage, dullness, dryness and other issues. Get revitalised, radiant and healthy hair with the Root Regen kit from Kaya Clinic.